What a weekend (again my Monday morning starts off with that!) Did a gig in Leeds with Brett, Neil and friends – first birthday party of Community! (at Dr Wu’s) even a special guest appearance from Tommy Max!. Had a top evening. Community has just got a new residency in Harrogate by the way at Bar Med’s VIP Lounge – every Friday. Saturday – Went to see Scapegoat Kelly at Bar Med. Superb gig – top quality. Perhaps one of the most enjoyable times I’ve seen them (apart from their first ever gig – un beatable because of the newness of it all). Great sound they got going on now. Polished, slick and powerfully confident. Day got da funk. I hope we (Dalmatian Kebab) get something like that kind of vibe going when we play there next Saturday! 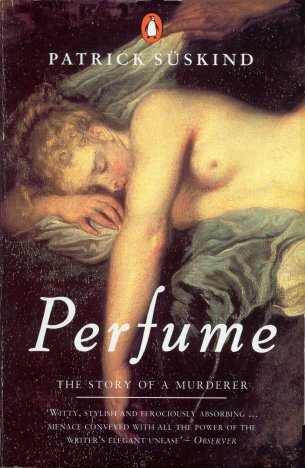 Perfume The Story Of A Murderer. What a top book. Like nothing else I’ve ever read. Starts out in mid 18th century Paris. It’s a book of high visulaisation – not through the eyes but rather through olfactory senses..
Other stuff – someone’s noted a comment on this drop (Tribal Gathering) that tickets go on sale in 2 weeks – he/she has also mentioned another really quite cool sounding mini fest up in’t Dales.